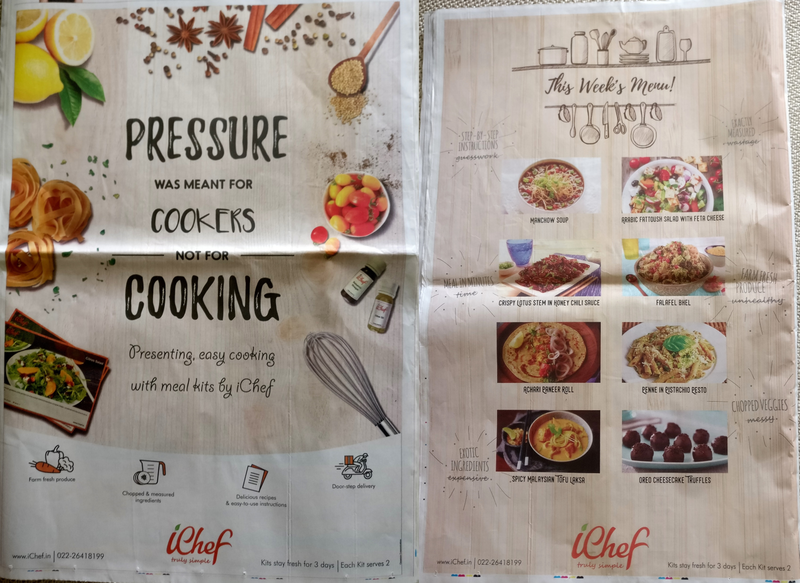 Read Between the Ps: iChef Meal Kits Ads - Food for thought? Spending money on a full-page print ad is definitely noticeable. You spend a lot of money and time to invest behind the creatives, the messaging and the back-end preparation. It would then be quite heart-breaking for a marketer when readers would ignore or not get your message and flip over! 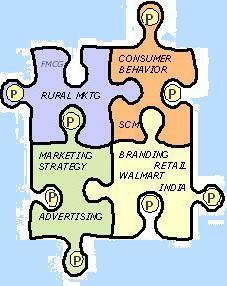 Worst, it is noticed more by marketing students (like me) who would rather intellectualize than buy! When such a step is taken by one of your peer companies that you admire, the marketer in me cannot hold myself from opining! Case in point is iChef - In case you heard the name for the first time, let me not tell you what they do - just see this ad and see if you guessed it correctly. The company is into ready-to-cook meal kits pre packed and served fresh to you - so that you don't have to get worked up on sourcing the ingredients and make a nice complete meal for your family. "Is this like a Freshmenu? ", "so can you can buy the raw products from them? ", "how many people does this serve? ", "So what all will be there in the kit?" Before I put forward my perspective, let me attach a caveat to this - this assessment is purely for academic purpose and is not to criticize the brand or the agency. If it helps in sharpening any thought process, the purpose of putting it up here would have been achieved! Lack of Relevant associations - While there is Consistency in the cues, the problem definition to get people to build memory associations is still weak. The first one had "Pressure", followed by "Freedom" as the cue word (the over abused word this week - I will be covering this in the next few days). The keywords that highlight the category or the customers who are relevant, are not in place. The category is still not clear - either from the tagline, the key messaging or 'look and feel' still does not make me take out the right associations and move forward on the path to purchase. While the earlier Ad showed the product, in terms of the small bottles and the kits, there is little clarity for a category entrant to understand what solution is being offered. The rectangular packed kits cannot be inferred from the image easily. Given that this is not an existing category, there is far more hand holding that one would need to do for this product category for customers to bite the bullet. Call to action was missing - While the prices to each of the menu items were added in the recent ad, there is still no reference of where to buy and what to buy - the product cannot be seen or understood clearly and there is call to action from where to purchase - in this week's ad, however, there is a note mentioning same day delivery - so I can infer that its a DTC business and ichef is the site. The need/ problem is also not clearly defined - "easy cooking with meal kits by iChef". On the next page, there are "step-by-step instructions" and "exactly measured" but I think they might be lost in the messaging. Maybe the icons used to build attributes on their page should be consistent with the ones used in the ad. 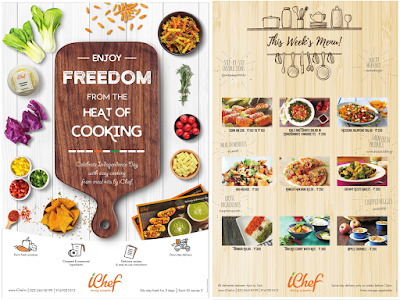 The meta description of the website says - iChef is a unique "meal kit" delivery concept, unique home recipes & fresh ingredients delivered at doorstep in Mumbai. This is a far clearer message that could have been replicated with imagery. The placement and design are consistent with each other, but maybe Minority, the agency mandated for creatives (or the internal Times springboard team) should give a thought to the category entrants and call to action elements for the next one. When would I need to get the ingredients packed together and shipped to me? What are the CEPs for this category? Trials are possibly a big driver for the brand. Product in use also seems to be an opportunity that could address the questions. Food for thought for BCCL. While there is no sure-shot recipe to a perfect ad, there are definite ingredients which will make the recipe worthwhile, if iChef wants to be truly simple!